In the developing world, there is economic pressure from those parents who prioritize sending their children to work to make money in the short term over any long-term benefits of education. Education economics is the study of economic issues relating to education, including the demand for education and the financing and provision of education. The central idea of human capital is that undertaking education is investment in the acquisition of skills and knowledge which will increase earnings. Human capital flight, more commonly referred to as the ” brain drain,” is the large-scale emigration of a large group of individuals with technical skills or knowledge. Educational technology is the study and ethical practice of facilitating learning and improving performance by creating, using, and managing appropriate technological processes and resources. human capital: The stock of competencies, knowledge, social, and personality attributes, including creativity, embodied in the ability to perform labor so as to produce economic value. brain drain: The migration of educated or talented people from less- economically advanced areas to more economically advanced areas, especially to large cities or richer countries. Education Economics: The study of economic issues relating to education, including the demand for education and the financing and provision of education. In developing countries, the number and seriousness of the problems faced is naturally greater. People are sometimes unaware of the importance of education, and there is economic pressure from those parents who prioritize their children’s making money in the short term over any long-term benefits of education. Recent studies on child labor and poverty have suggested, however, that when poor families reach a certain economic threshold where families are able to provide for their basic needs, parents return their children to school. This has been found to be true, once the threshold has been breached, even if the potential economic value of the children’s work has increased since their return to school. It has been argued that high rates of education are essential for countries to be able to achieve high levels of economic growth. Empirical analyses tend to support the theoretical prediction that poor countries should grow faster than rich countries because they can adopt cutting edge technologies already tried and tested by rich countries. Education economics is the study of economic issues relating to education, including the demand for education and the financing and provision of education. The dominant model of the demand for education is based on human capital theory. The central idea is that undertaking education is investment in the acquisition of skills and knowledge, which will increase earnings or provide long-term benefits, such as an appreciation of literature. An increase in human capital can follow technological progress as knowledgeable employees are in demand due to the need for their skills, whether it be in understanding the production process or in operating machines. Human capital flight, more commonly referred to as the “brain drain,” is the large-scale emigration of a large group of individuals with technical skills or knowledge. The reasons usually include two aspects which respectively come from countries and individuals. The brain drain is often associated with de-skilling of emigrants in their country of destination, while their country of emigration experiences the draining of skilled individuals. Educational technology is the study and ethical practice of facilitating learning and improving performance by creating, using, and managing appropriate technological processes and resources. Technology of education is most simply and comfortably defined as an array of tools that might prove helpful in advancing student learning and may be measured in how and why individuals behave. There are various types of technologies currently used in traditional classrooms. 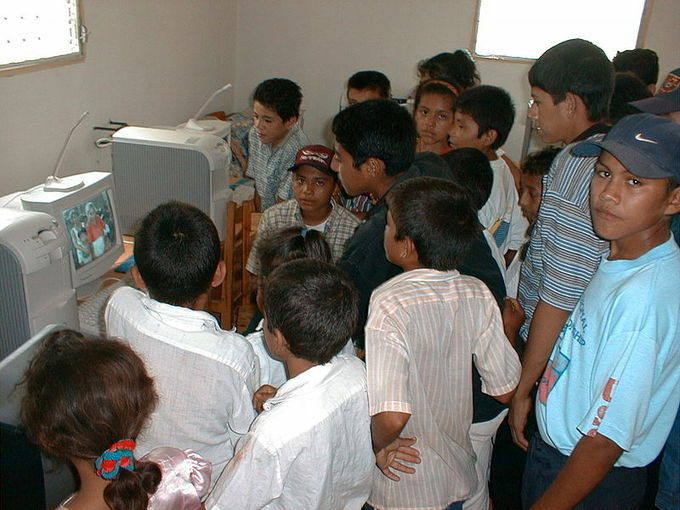 Among these are computers in the classroom; a website for every class; class blogs and wikis; wireless classroom microphones; and online media and interactive whiteboards. Educational technology is intended to improve education over what it would be without technology. Its benefits include easy-to-access course materials; increased student motivation; improved student writing; subjects made easier to learn; and differentiated instruction.